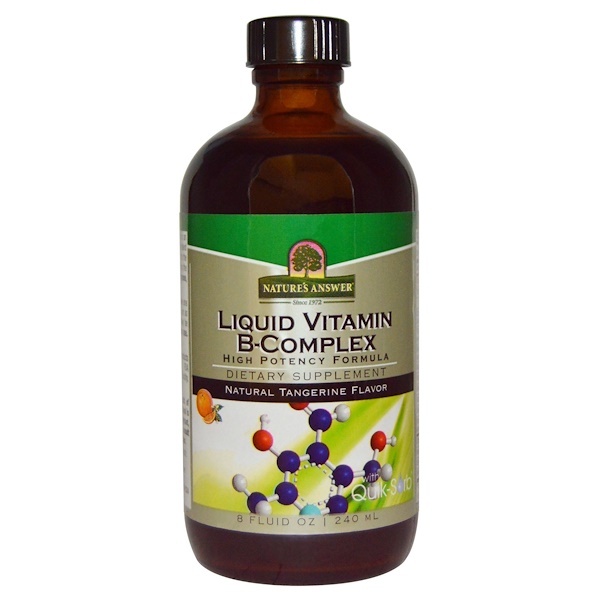 Liquid B-Complex provides nutritional support in an easily absorbed form. Quik-sorb is an exclusive blend of herbs known to enhance delivery of nutrients to the body. 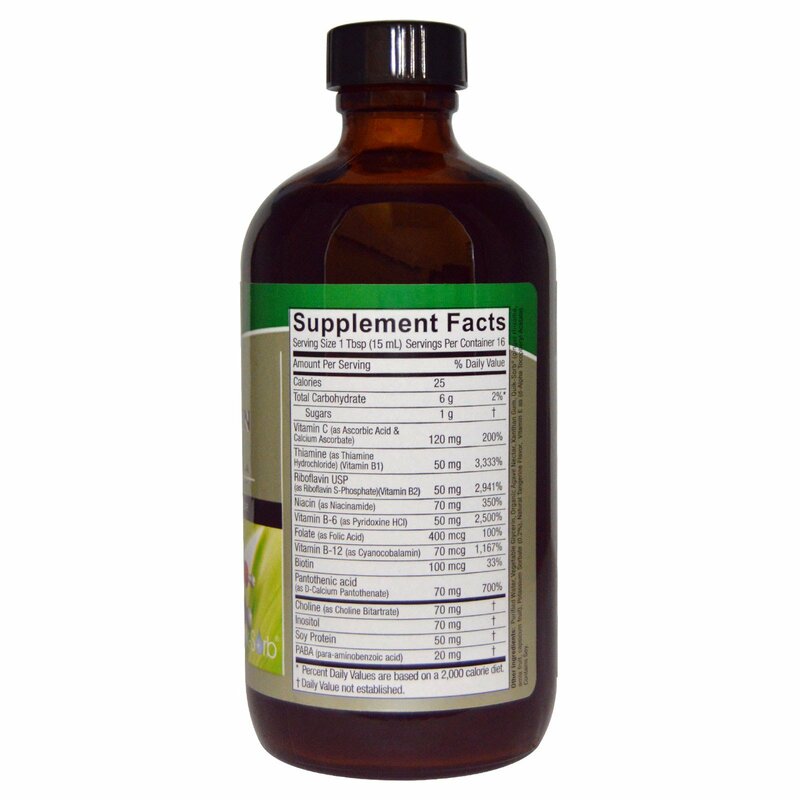 As a dietary supplement take one (1) tablespoon (15 ml) daily, with a meal, or as directed by your healthcare practitioner. May be mixed with water or food. Shake well before use. Refrigerate after opening. Purified water, vegetable glycerin, organic agave nectar, xanthan gum, Quik-Sorb (ginger rhizome, amla fruit, capsicum fruit), potassium sorbate (0.2%), natural tangerine flavor, vitamin E as (d-alpha tocopheryl acetate).